With the shiny ‘90s lips making a comeback on the beauty scene, it’s time you take a break from that matte lipstick and make room for some gloss. Ladies, lip gloss is a thing again! After all these years, lip glosses today finally aren’t tacky or goopy the way most of us remember them. Erase everything you think you know about them – because the world has changed, and so has their formula. 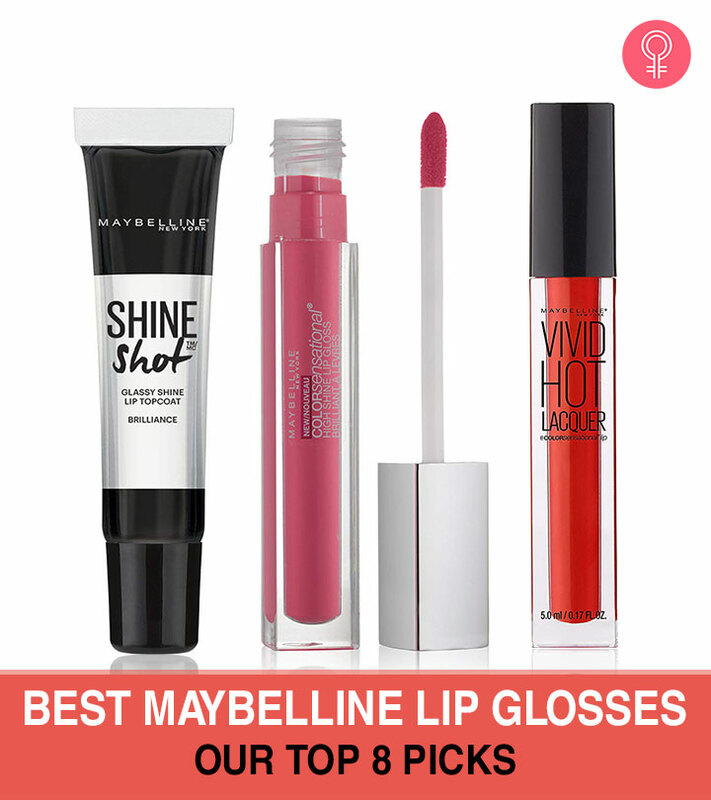 To help you pick out a gloss, we have put together a list of the best Maybelline lip glosses. Check out the various lip glosses from everyone’s favorite drugstore brand. 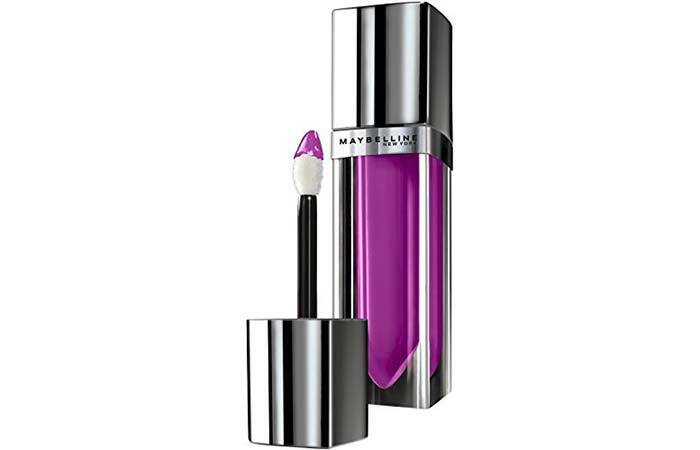 If you’re looking for incredibly saturated color with a high-shine finish, this Maybelline Color Sensational lip gloss from range is all you need. The formula does not feel sticky and stays put all day long. It also leaves your lips feeling hydrated and moisturized. These lip glosses come in 12 different shades ranging from nudes to reds and also a bunch of blues and purples. This is one of the best Maybelline lip glosses out there. Applicator tends to pick up a lot of product. 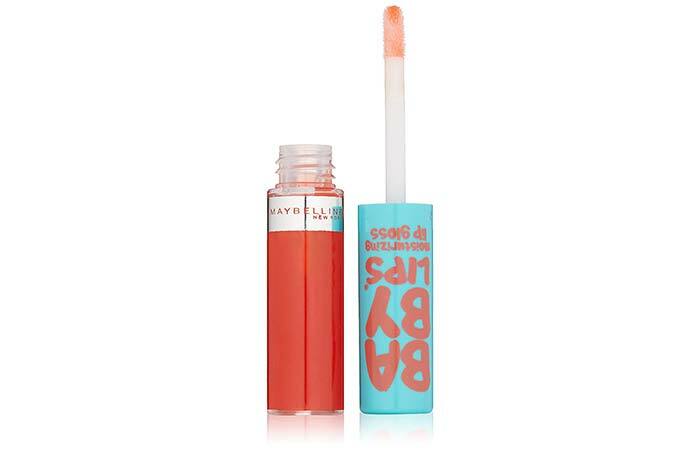 The Maybelline Baby Lips lip gloss is perfect for anyone who likes a sheer finish. It adds a natural flush of color to your lips and makes them look fuller and plump. Its formula is quite thick, but it glides on smoothly and is excellent for daily wear. We also love its pleasant fragrance. It comes in 12 different shades ranging from pinks to lilacs. It also works as a great top coat to achieve that wet-lip look. If you are sensitive to smells, you might not like the lingering fragrance. Want to achieve the oh-so-trendy holographic lips? 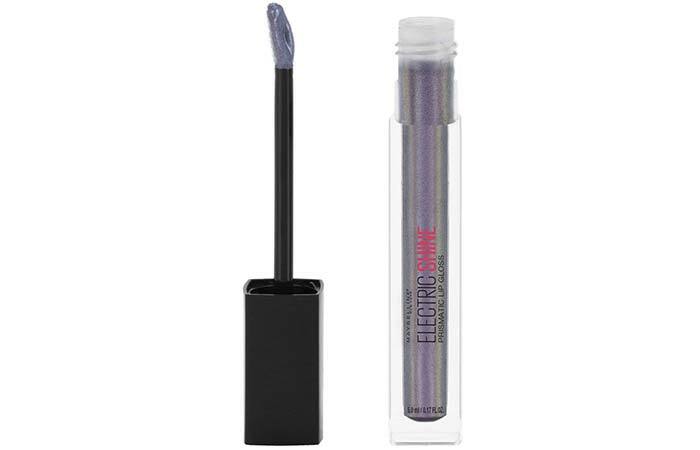 The Electric Shine Prismatic lip gloss from Maybelline delivers iridescent shine for a duo-chrome lip look. This collection consists of six shades ranging from pinks to purples. It has a double-sided flat sponge applicator, which makes it really easy to apply the formula with precision. This Maybelline gloss is inarguably the best drugstore holographic lip product out there. This lip gloss from Maybelline’s Lip Studio range delivers a remarkably lightweight glitter finish that you can either wear alone or pair with your favorite lipstick to intensify its look. Its formula is buildable and easy to apply. It also has a very impressive staying power. This gloss is available in six unique shades. 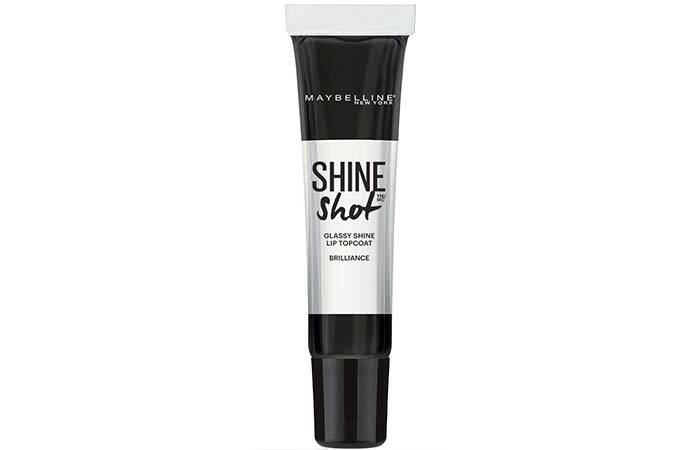 The Maybelline Shine Shot Lip Top Coat is a fairly thick formula with a gel-like consistency. 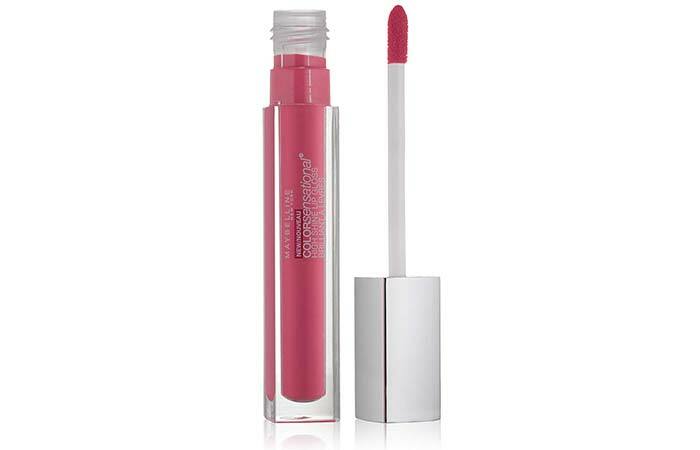 Although it is not the most comfortable gloss to wear owing to its stickiness, it works well for those with dry lips. It has an opaque, cloudy color combined with micro-shimmer particles that leaves you with a subtle holographic finish. You can either wear it alone or as a top coat over your favorite lip color. 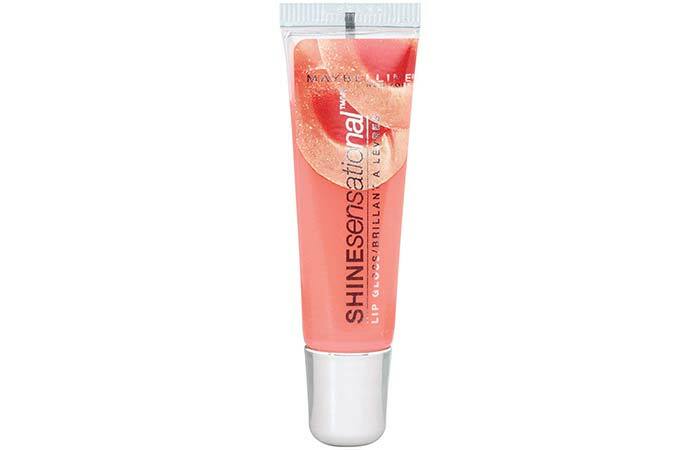 This Maybelline shine sensational lip gloss is a sheer formula with a minty flavor. It comes in a range of 12 shades. 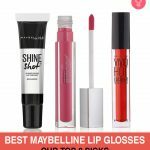 Some of the Maybelline lip gloss shades are more pigmented, while others are more shimmery – so that’s a win-win for all of us. It comes in a simple tube packaging, and you’ll have to use your finger to spread the product. However, its lasting power is impressive, and it does a good job at adding shine and volume to your lips. Want a more saturated color in your gloss? The Color Sensational Elixir Lip Lacquer offers a balm infused formula with intense color pigments. It feels incredibly soft and cushiony on your lips, while its formula moisturizes and hydrates them. Also, there is no added shimmer in this gloss, making it perfect for daily wear. With a range of 10 super-saturated shades, there’s something in Maybelline elixir lip gloss for everyone! 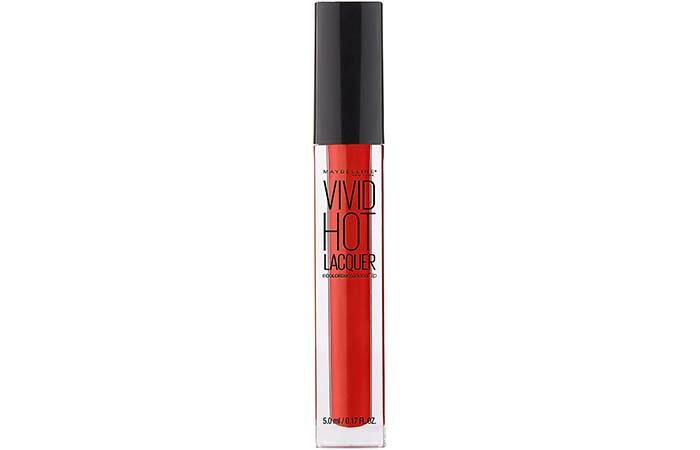 The Color Sensational High Shine Gloss applies extremely smoothly and feels very comfortable on your lips. It has no shimmer, but it does have a super shiny finish. The color is buildable and gives you an even finish with just two swipes. The packaging is sleek, and the doe-foot applicator helps you apply the formula with ease and precision. It comes in 12 shades ranging from nudes and pinks to reds. With the return of lip gloss, you might as well give this trend a shot and see if it works for you. No harm in trying, right? 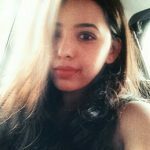 Besides, there really is no look as classic as minimal makeup paired with a glossy pout! That was our round-up of the 8 best Maybelline lip glosses out there. Which ones are you looking forward to trying? Let us know in the comments section below.